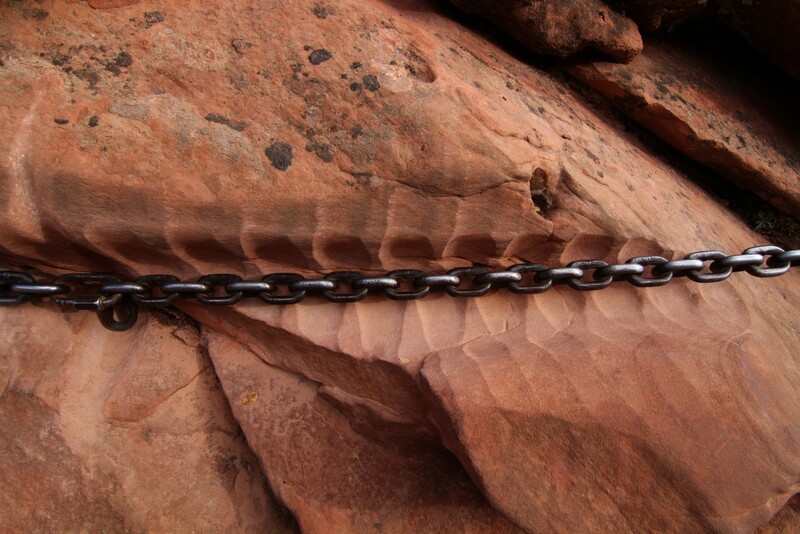 2013-10-23 I really like the pattern that has been carved into the sandstone by these chains on the Angel's Landing trail. These chains were put in place to make the hike up the last, and most difficult, half mile to the top of Angel's Landing safer. Zion National Park, Utah.